Determine what kind of business you want to start, look at your skills and see what you enjoy doing, make a list of jobs you have done in your career, say you did e.g. Typing, Transcription, PowerPoint Presentation etc and that is what you enjoy doing, so start your business by offering the services you enjoy doing the most and expand your business from there as you get to learn and know other jobs. Learn about the industry for your business, do Internet research around the world. 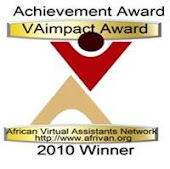 There are many VA sites worldwide that you can visit to see what the industry is about. Search for ‘Virtual Assistants’ via Google etc. Educate yourself on running a business. Learn what a Business Owner is and what Business Owners do, you have your company books, invoicing, customer liaison, quotations, networking, marketing, debt collecting etc. There is more to running a business than just taking in typing jobs. 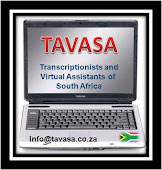 A Virtual Assistant runs a business/company. Join Associations, Chamber of Commerce, small to medium business networking groups, women’s business groups etc for networking purposes, locally. Name your business, have a business name that reflects what you are doing and who you are. Design a company logo and a company slogan. This to me was one of the most exciting tasks to do when I started my company, ive been through quite a few logo's since starting and I am now happy with my current logo as it reflects what I am doing. Perform a trademark search on the name you choose for your business to make sure no one else is using that name. Register a domain name for your website; first check that the name you have chosen is not used by someone else. My domain name is www.amftyping.co.za, the domain being ‘amftyping’. Design/Acquire a website/blogging (Example: site http://alison-fourie.blogspot.com/), this is a great marketing tool, you can list your website on search engines and add your website and company details to search engine listings, classified sections, and in directories via the internet worldwide. Your website and blog are your internet advertising tools; they portray you on-line, make sure your content is good and draws clients to you. If it’s not working within 3 months relook at your content and change it. Determine business structure (sole proprietor, partnership, or corporation). Evaluate your personal budget, know what your budget limits are, and work within these limits. Write a business plan, list your objectives and values, create your mission statement, update as your business grows. Set up the way you are going to run your business (Procedures/structures), document it, edit, as you need to, but put it in writing. Register your business with the Deeds Office in (for South African VAs only, VAs from other countries must check their own country regulations) Have a choice of company names; check out your company names via the internet, because if you find someone with the same business name you will have to change your name as they were here first. Organise your office and office space. Order signage, I have a sign attached to my gate with business name and details. Place signage/magnets on your car, as you drive around, you are advertising your company. 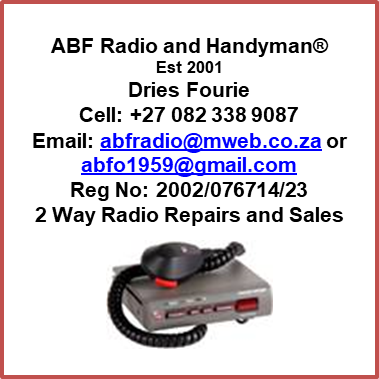 Obtain business tools (computer, printer, fax machine, office supplies, and fixtures, ADSL line, Broadband/wireless connection). (Make sure you have the bandwidth to cater for your job, if you are doing transcription/typing you will receive large files, you need to be able to download and upload these files so you bandwidth must be adequate. Order/Create business stationery (business cards, letterhead, brochures, forms etc). You can create your own office stationery via your computer, it saves money. Plan a grand opening event; create press releases, flyers, and notices. Send announcements to everyone you know that you are opening your business. Let people know about this, advertise strongly that you are opening your business, let other VAs know, report it on forums, Facebook, networking sites/social media. But get your opening information out there. Evaluate your marketing/networking strategy/plan often and do the same with your business strategy/plan as your business changes then make note of the changes and new procedures in your business strategy/plan. Your business plan should be a working ongoing document.